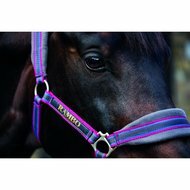 Nylon halter fitted with the Horseware logo. 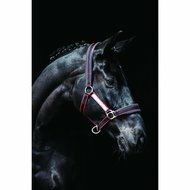 The nose strap and the headpiece are covered with soft velvet, making the neck comfortable and less likely to abrasion. Good fit by adjustments on the nose and behind the ears. Nice fit, nice and soft yet sturdy. If I could mention an improvement point, there is no color-matching lead rope. Extremely good quality and fit. Extremely good quality and fit. 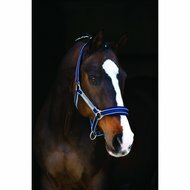 Very easy-care and robust, fur-friendly also suitable for sensitive horses. My absolute favorite halter. 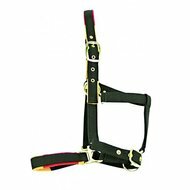 Well padded, great quality, 100% recommended. 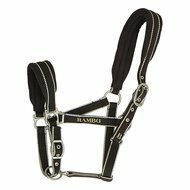 Very nice sturdy halter of good quality and fits well.